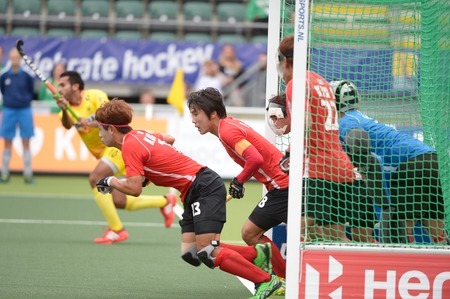 India defeated Korea in the 9/10 place playoff at the Hockey World Cup in the Hague. The Koreans were not playing with their usual counter attacking speed. Injuries had reduced the Koreans to a skeleton squad and even resulted in the captain having toplay with an injured hand. India were the better team on the day and gained some valuable world cup experience. It is 20 years since India has defeated Korea in a World Cup match.